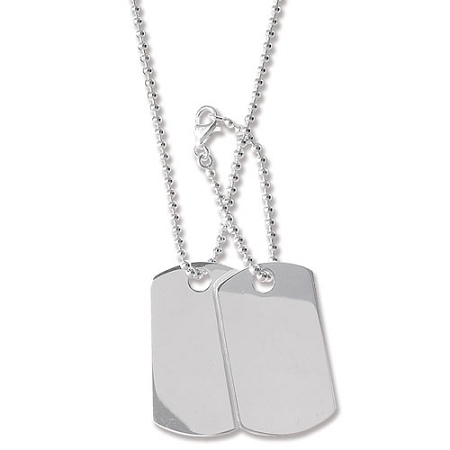 Sterling silver solid pair of dog tags on balls chain. Can also be worn individually. Each dog tags measures: 18mm x 33mm. We can also engrave from as little as £10.00 per name.